That's what a friend of mine calls the custom frames I have made for my paintings. My amazing framer, Kurt Pape of Unique Art Framing, did an especially fabulous job for this show. For each painting, he responded to the colors, values, paint handling and overall atmosphere before deciding whether it called for pale silver, antique pewter, champagne gold, textured or solid, squared or rounded. He really dialed in the profile, edge finish, and reveal width (the gap between the float frame and the panel edge). The Africa tree paintings have no paint or gilding, just hand-rubbed maple. As always, he built each one in his shop from bare wood. The top left photo shows Kurt in his workshop, trying out different frame corners on some of the smaller pieces in the show. 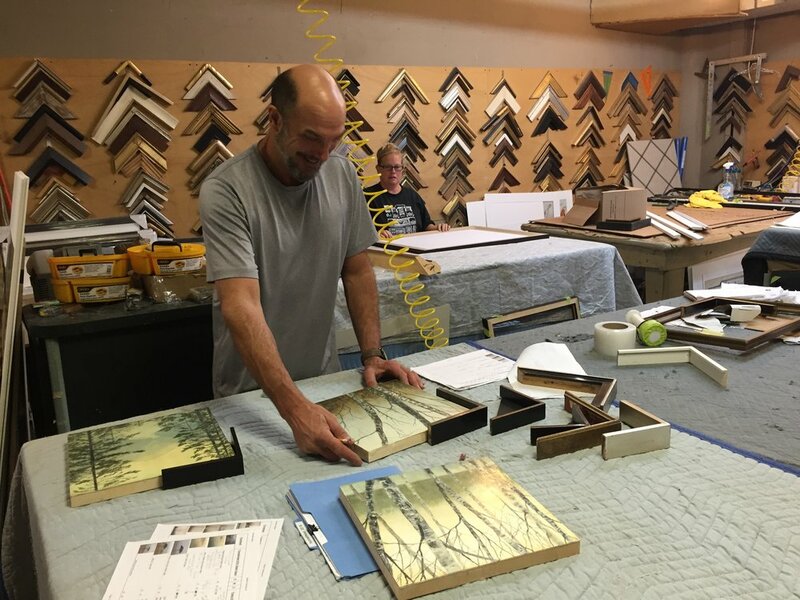 He has also made me a set of frame corners in my favorite finishes so that I can hold them up to my paintings as I am nearing completion. It helps me to imagine the final presentation, and to determine how close to finished the piece actually is. I am incredibly grateful to live in a city and region that offers so much for the working artist. Active organizations provide a supportive cohort, workshops abound, both in person and online; and juried shows and group exhibitions seem to be popping up hither and yon, even as brick and mortar galleries close up shop. Art walks and museum exhibitions enrich my evenings and weekends and travel time. And then, of course, there’s my own solo show coming up in October, so I suppose there’s the issue of studio time. Indeed, as the queen of FOMO (“fear of missing out”), I often find myself spread a bit thin. Nearing the end of a summer of too many workshops (all fantastic), juried show entries (with mixed results) and the birth of two new monthly art discussion/critique groups (much needed camaraderie), it is clear I need to take some time to reevaluate my priorities, and realign my commitments accordingly. That said, one event that is now even more firmly planted in my annual calendar is the Anacortes Art Festival Juried Fine Art Exhibit. We attended the opening reception at the Port Transit Shed last Saturday night, and the vibe and the venue were so welcoming that we were talking about relocating to Anacortes by the end of the evening. The over-the-water, indoor-outdoor venue sets a memorable stage, with its soaring ceilings, rustic floorboards (see the water rippling below!) and fabulous shipyard location just a block or two from Anacortes’ great restaurants (we dined at Adrift pre-show). But what really sets it apart is how incredibly well-run this show is, thanks in large part to the year-round staff. With their committed and capable board, they are able to organize hundreds of volunteers to keep it all running smoothly and efficiently. And they always attract the most highly respected jurors—this year, it was Barbara Shaiman, longtime curator of the SAM Sales and Rental Gallery and now the Alexis Hotel. She waded through 264 artists and over 800 images to arrive at the final 45 artists—all media—included in this very strong showing. The juried exhibit is just one part of the art festival; it opens the weekend before the main event of artisan and craft booths, live music and festival food, all of which take place August 5-7. The Juried Show is open all week and through next weekend, so if you are hankering for a unique art viewing experience, I encourage you to make the trip. I primarily sell and show my artwork through the two galleries that represent my work: Fountainhead Gallery in Seattle’s Queen Anne district, and Kneeland Galleryin Sun Valley, Idaho. 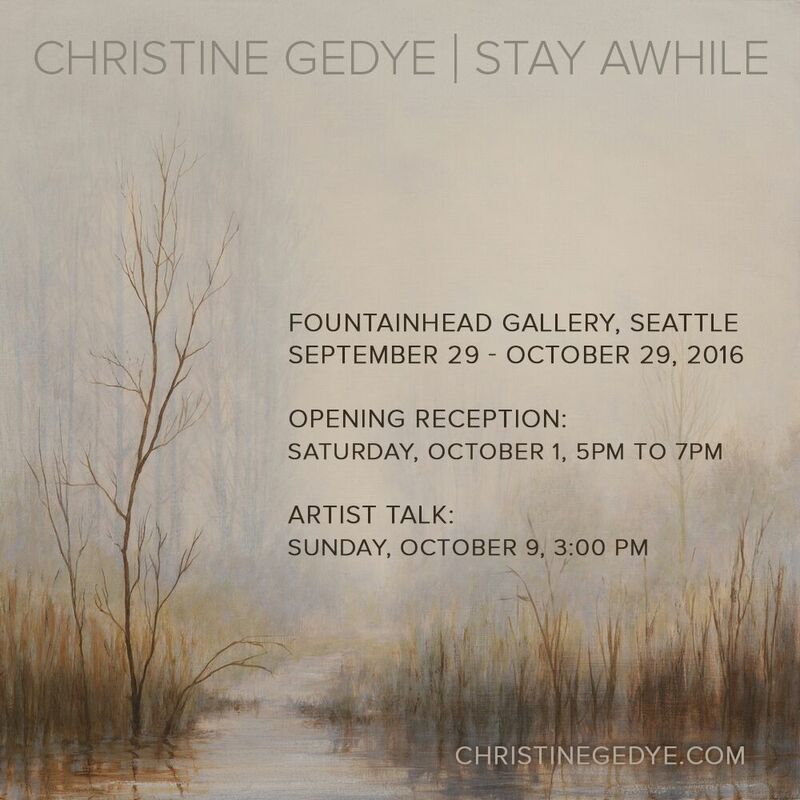 I have been showing with Fountainhead Gallery since 2005, and they are celebrating their 20th year in business. Kneeland Gallery has represented my work since 2012, and have been a fixture in Ketchum since 1982. Both galleries are open year-round and will ship art directly. As a member of the Women Painters of Washington, I often participate in group shows at the organization’s beautiful gallery in downtown Seattle’s Columbia Tower. I also enter select juried shows across the region, which I publicize on my News page on my website, as well as my Facebook page. As of 2015, prices for my paintings range from $600 for an 8” x 8” to $3300 for a 36” x 24”. 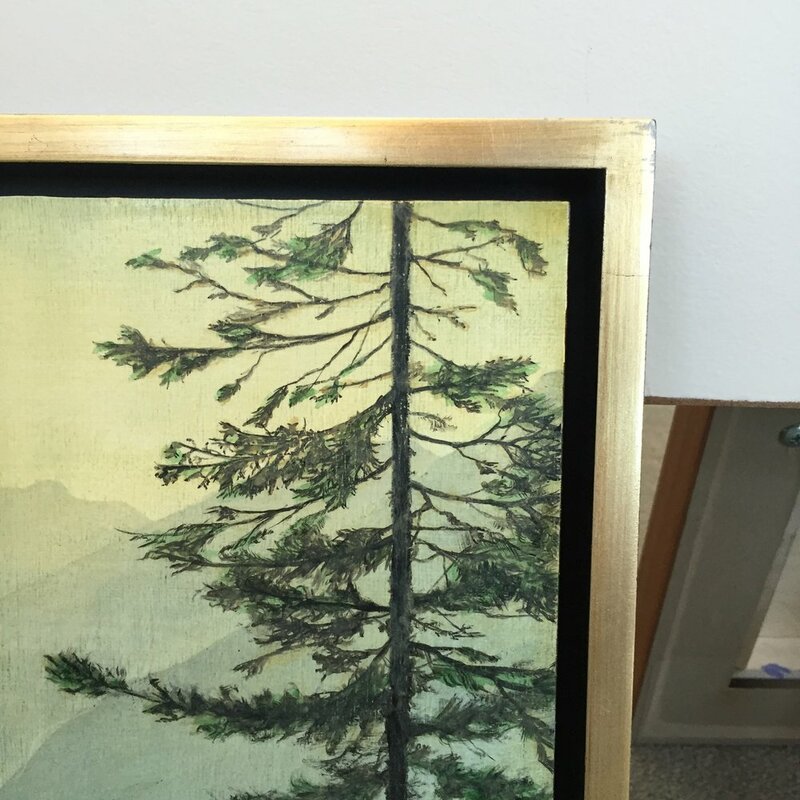 Prices may vary slightly depending on how the painting is framed, however, prices are consistent across all venues. 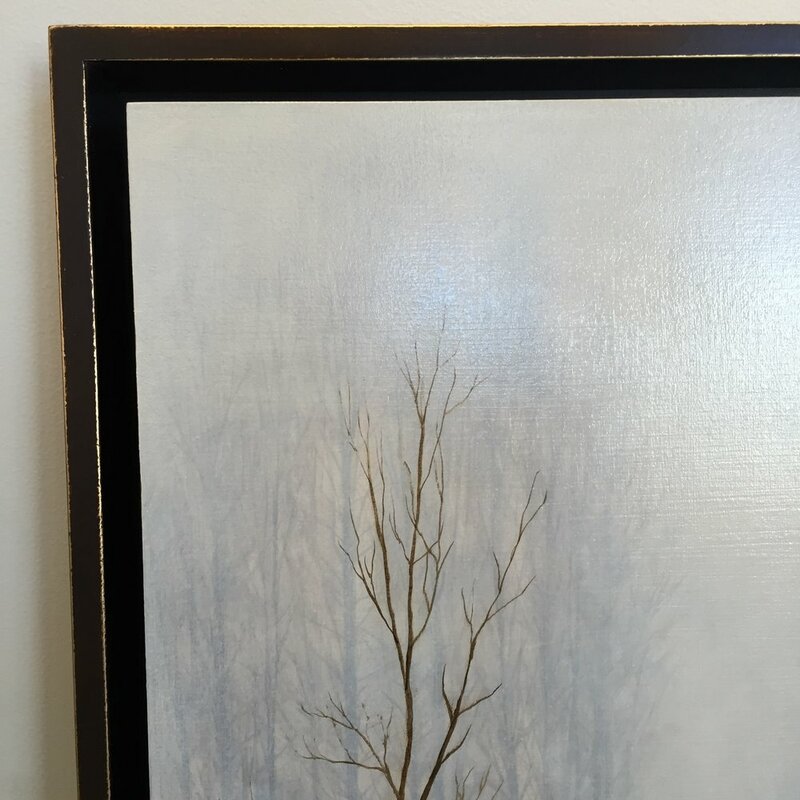 Because my paintings occasionally move from venue to venue, the best way to locate a work of interest is simply to email me or, if you see it on the Fountainhead or Kneeland websites, contact them directly. If you are interested in my work and would like to discuss commissioning a painting for your home or office or for a gift, please contact me. I would love to tell you about my commission process. My work has always been an antidote to the complexity and hectic pace of modern life. 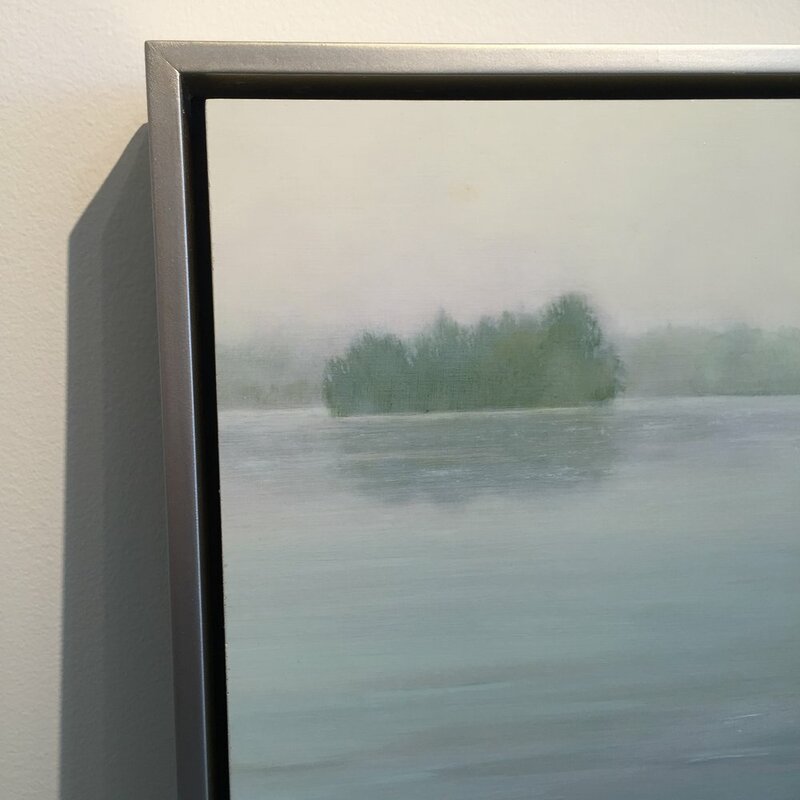 “My aim is to evoke the feelings of calm, humility, and intimacy that can be experienced in a moment of connection with our landscape,” are the words that have summed up my artist statement for years. I suspect that will ever be true. But in addition, this collection of paintings explores a new curiosity for me, a new pictorial challenge: Can I explore my interest in abstract, depth-defying composition while maintaining my allegiance to representational art? The horizon, where earth meets sky, has a sort of pull. Being able to see the horizon—whether across a body of water or valley covered with a patchwork of crops—is both grounding and liberating; a distant horizon gives me space, room to breathe, to think, to imagine, as if a clear view equals a clear mind. But a horizon line also has a different kind of pull—one that creates a challenge for a painter: Strong, straight lines have a way of cutting a picture in two. At the very least, they have a tendency to advance in the picture, rather than recede, which becomes a problem to solve. But I find these clear divisions of space compelling in an abstract way. There is a calmness, a simplicity to an unbroken line, a power to a building reduced to its most elemental rectangle-ness. And so the challenge for me has been to create deep space within an abstractly simple, strongly horizontal composition—one that doesn’t necessarily lend itself to depth. Atmospheric perspective has been my faithful friend in this endeavor, leaning heavily on subtle variations in warms and cools in a tonalist palette. I also have looked more closely at rendering the subtle details and complexities in foregrounds, which always ends up being the most meditative time at the easel. And most importantly, I have tried to stay true to whatever it was that intrigued me about these images initially—an abstract “shape-i-ness,” a fleeting moment of light, a feeling of vastness—the essence of what I hope these paintings convey.